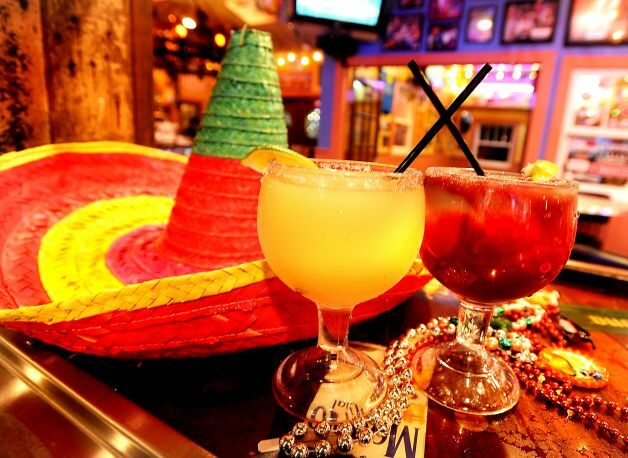 With Cinco de Mayo looming next week, restaurants, bars and even wrestling for entertainment in the United States are promoting all things Mexican, including margaritas, tacos and tamales, and Mexican “costumes.” While most Americans party and drink on Cinco de Mayo, most Mexicans in Mexico do not celebrate or even recognize it as a significant Mexican holiday. In an interview with CNN two years ago, David Hayes-Bautista, Ph.D., who is a Professor of Medicine and Director of the Center for the Study of Latino Health and Culture at the University of California Los Angeles, said that Cinco de Mayo is an American holiday like Fourth of July, and not really a Mexican holiday or celebration. 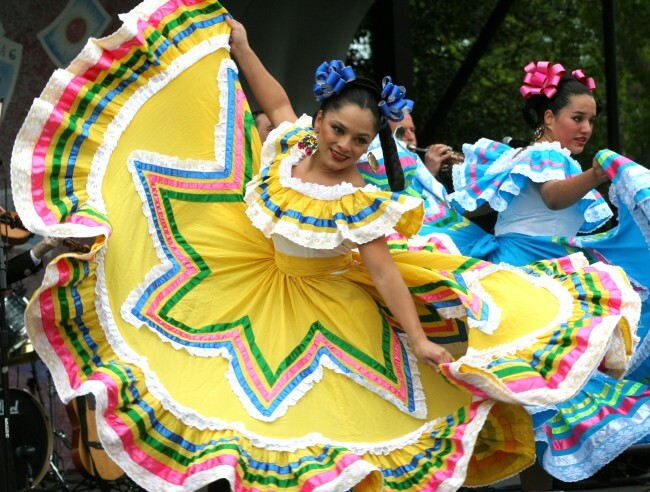 In the United States, Cinco de Mayo is often mistaken as Mexican Independence Day, which is on September 16. Although Cinco de Mayo represents a Mexican victory over the better-equipped French in the Battle of Puebla, this event meant something a bit different to the Latinos living in California and Oregon in 1862 – “an army of freedom and democracy won a big one against the army of slavery and elitism,” according to Hayes-Bautista. In fact, the Battle of Puebla had significant ties to the American Civil War. It was also the last major conflict in which any overseas power attempted to take over North American soil. Embroiled in the war with the Union, the Confederacy needed an ally that was closer to American soil, in which the consequences of not having such an ally might have split the United States into two separate countries. The French, who were allied with the Confederates, landed in Veracruz in southern Mexico with the combined forces of Spain and Great Britain in 1862. They came to collect a debt owed by Mexican president Benito Juárez, who had officially suspended the debt because Mexico was bankrupt from the Reform War that raged between the Mexican liberals and conservatives from 1857 to 1861. The French used the debt collection as a cover to conquer all of Mexico, which could have been beneficial in providing financial and military support for the Confederates. 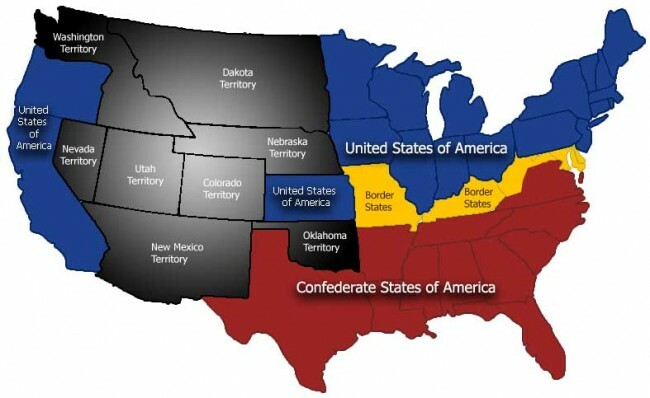 The United States’ westward expansion was seen as a threat to the major European powers. They wanted a piece of North America like they did with Africa and Asia and to suppress American power and influence. Napoleon III took this opportunity to stop the American expansion and establish a French empire in North America. If the French was successful in conquering Mexico, the United States might have been two lesser powers, which would have favored the French Empire. According to MexConnect, an online magazine dedicated to providing quality information about the culture and history of Mexico, Napoleon III wanted to establish a puppet monarchy in Mexico and construct a railway and canal across the Isthmus of Tehuantepec, which would limit the American expansion. Some historians have speculated that Mexico was just the start of a major French invasion to take over all of the budding Latin American republics, stretching to the tip of South America’s Tierra del Fuego. French would have been the official language in most of Latin America, not Spanish. Of course, it did not turn out that way. “The French goal was to eliminate democracy, and remember that Mexico had democracy only for 30 or 40 years at that point,” Hayes-Bautista said. Most of Europe was still under monarchy rule at the time. President Juárez proposed to repay the debt two years later, but the offer was refused. The French and their allies seized the customs house in Veracruz, intending to seize custom payments to get their debt back. After the British and Spanish diplomats parleyed and made an agreement with Juárez, the two armies left Mexico. However, the French decided to stay and headed straight for Mexico City with a force of about 6,500 soldiers, including cavalry and artillery. By the time the French army, under the command of General Charles de Lorencez, reached the posh town of Puebla on May 5, 1862, a few hundred soldiers were already suffering or had died from yellow fever in the tropical weather of Veracruz. Despite the heat and threat of disease, the French launched an attack. After bombarding Puebla with artillery before trunning out of ammunition in about an hour, Lorencez sent several waves of cavalry and infantry to seize the town, who were struggling up the uneven slopes of Guadalupe Hill. Even though the Mexican defenders were armed with “antiquated” rifles and machetes, they were able to repel the more “technologically advanced” French. Led by General Zaragoza, the mixed army of Mestizos and Zacapoaxtla natives, wielding rifles, machetes and an assortment of hand weapons, chased the retreating French army to the coast. About ten months later, the French returned with a force of 27,000 troops and captured Puebla after besieging the town for nine months. The Mexicans surrendered and the French marched to Mexico City where, on June 1864, Austrian Archduke Ferdinand Maximilian was crowned as the French (puppet) emperor of Mexico. That reign did not last long. After the U.S. won the American Civil War, the Americans sent aide to the Mexicans in defeating and overthrowing the imperialists, and Maximilian was captured and executed by a firing squad on June 19, 1867. On July 15, President Juárez returned to the Mexico City, and Mexicans got their country back. Justo Sierra, a famous Mexican philosopher and historian, wrote, “The fifth of May set back Napoleon’s designs in regard to the United States a full year.” Even though the Battle of Puebla was small compared to conflicts during the French invasion, it brought a sense of high moral and patriotism among the Mexican people, according to Sierra. However, Cinco de Mayo was “celebrated” before the Mexicans re-established their government and rule. After the victory at the Battle of Puebla, news had already spread to the West Coast of the U.S., where the event was memorialized by “juntas patrioticas mejicanas,” (Mexican patriotic assemblies), which were a group of about 14,000 Latinos who were networked throughout most of California, Nevada, Arizona, and Oregon, according to Hayes-Bautista. They celebrated the victory with parades, banquets, dances and speeches to boost morale among the Latinos in support of President Abraham Lincoln and the Union. For a short time after the Civil War, American and Mexican veterans would put on their uniforms and give speeches on Cinco De Mayo. These stories would be passed by each generation to the grandchildren of the veterans from the 1890s, into World War II and during the Chicano movement in the 1960s and 1970s. By the 1980s, corporate companies began to commercialize Cinco de Mayo by promoting alcoholic beverages, food and products to the Latino communities — “a fake holiday recently invented by beverage companies,” said Hayes-Bautista. He even said that Cinco de Mayo got its own postage in 1996 and former president George W. Bush threw a Cinco de Mayo party at the White House in 2005. Truly, the Cinco de Mayo “holiday” stems from American capitalism rather than a recognition of a Mexican historical event. Even though some Mexicans frown upon how Cinco de Mayo is commercialized in the U.S., some believe that this could be a good thing for both Americans and Latinos. In an interview with National Geographic, José Alamillo, Ph.D., professor of ethnic studies at Washington State University, suggested that Cinco de Mayo allowed Americans “to partake in and learn about Mexican culture through Cinco de Mayo.” University of Oklahoma professor Robert David-Undiano, who teaches American and Chicano studies, said that Cinco de Mayo could improve the relationship between Latino and non-Latino communities, ” especially at a time when tensions surrounding the illegal immigration debate run high.” Despite the commercialization of Cinco de Mayo, the American “holiday” could unite Mexican and other Latinos with Americans and other cultures in the U.S. Even so, the significance among the French invasion, the Battle of Puebla and the American Civil War should also be recognized. 6 Responses to "Cinco de Mayo: An American Holiday, Not Mexican [Video]"
http://truth-out.org/opinion/item/23422-taking-back-cinco Taking Back Cinco . From no acknowledgment at all, to a proud celebration of “Mexican-ness,” to a commercialized beerfest, Cinco de Mayo has seen many transformations in the last half-century. It is time to transform it again and recover meaning. In the USA, it’s a commercial celebration, and in Mexico it a patriotic. I think you have the 2 mixed up. And Historians in the USA are trying to rewrite Mexican history to clame that the USA was the first to celebrate it, and that is not true. When I lived in Zacatecas, my town celebrated it with a parade and church service. 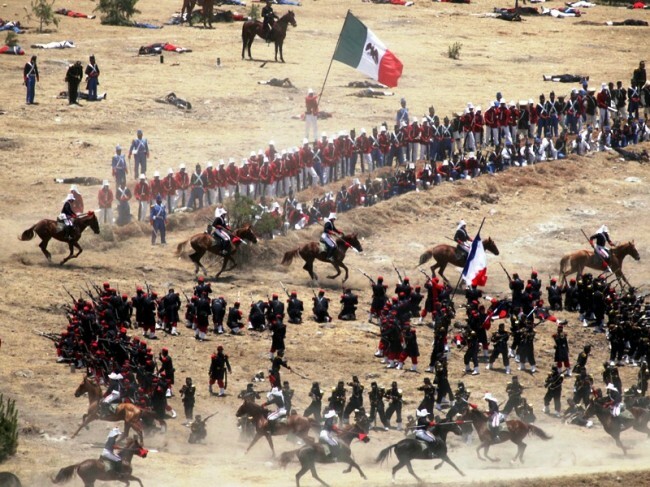 My family in Chiapas celebrate it by going to a reenactment of the battle, which is followed by music and dancing. My cousins and friends in el DF celebrate. Mexico is not %75 percent mestizo. Have you read UNAM studies on DNA? I did, when i went to school there. Mexico is about 40% pure native, 10% no native, and the rest are an average of 36% native (mostly native). Mexico is more American than the USA. Lol. No we don’t celebrate it at all. It’s just a regular day for Mexicans. And most Mexicans are not actually native Americans about 75% of Mexicans are mestizos. And I don’t know where you got that info about it being a festive day because it truly isn’t. Only the USA celebrates it. It is an American celebration, because Mexico is part of America. America is one continent, not 2 like the people of the USA think. America is about 270 years older than the USA. Mexicans are not latinos, they are Native Americans. And cinco De Mayo is celebrated in Mexico. Kids don’t go to school on that day. Towns have concerts, dances, and parades. In the bigger cities, young adults parade down the streets dressed as french solders and Mexican peasants drinking and just being stupid. In some cities, reenactment of the battle are done. A military parade in Puebla is televised nationally.